b. 19 June 1959, Newport News, Virginia, USA. 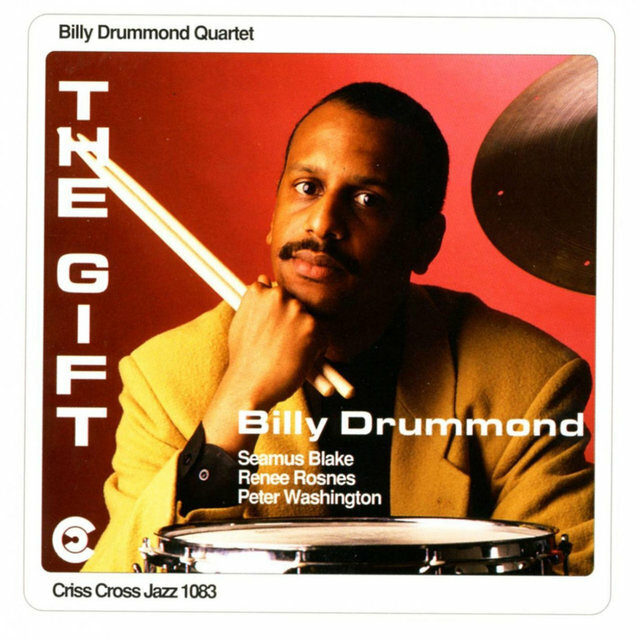 Drummond began playing drums at the age of four, following the example of his drummer father. He played in high school and local bands and thanks to hearing his father’s record collection began taking an interest in the masters of modern jazz. In his teens he attracted attention in New York and became one of several young musicians recorded by Blue Note Records in their series of bands named Out Of The Blue. He became a member of Horace Silver’s band, thereafter touring and sometimes recording with artists including Sonny Rollins, Pat Metheny, J.J. Johnson, Joe Henderson, Freddie Hubbard, Tommy Smith, Vincent Herring, Jon Faddis and Renée Rosnes. He has played on several records with the latter and she plays in his band, Native Colours, which also includes Steve Wilson. An exceptionally accomplished technician, Drummond is a highly supportive player, always listening and eager to bring out the best in the musicians he accompanies.